My theme for 2016. What’s yours? 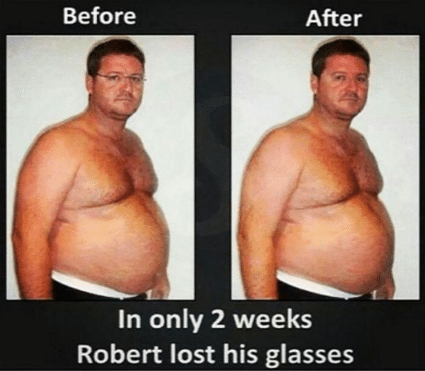 I can’t stick to a diet for more than a few weeks. Here’s why and what to do about it. If you can’t stick to a diet for more than a few weeks, this post is for you. Why do we always start the year off raring to go only to quickly fizzle out? I don’t want this year to be another year that comes and goes for you without anything changing…yet again. Your health and fitness is too important. UGHHH! IF ONLY IT WAS SO EASY!!! Knowing what to do and actually doing it are very different. That’s like saying why doesn’t every aspiring musician just make a song with a catchy chorus along with a great beat and melody? BECAUSE IT’S EASIER SAID THAN DONE!!! If everyone knows “what to do” why are so many people overweight, out of shape and unhappy with how they look and feel? If it was as simple as “just sticking with it” don’t you think you would have “just” done it already? It’s the consistency part that’s so hard. This is why I’ve made it my life’s work to help people stay consistent. In order to fully understand what it takes to help people stay consistent, it’s important to understand why so many people have a hard time staying consistent. In other words: Why is sticking with it and following through so hard? I’ve boiled it down to three things. No matter what you’re planning on doing this year, it’s worth reading. Otherwise, it’s going to be very hard to succeed. Forget about fad diets. We can only follow a cookie, shake or grapefruit diet for so long. We can only a follow a no fat, no carb, no sugar, no fun, no anything diet for so long. **This is why we’ll give you a customized diet that’s easy to follow with flexible options. Unlike other programs that encourage strict and limited regimens, you’ll have plenty of freedom with MBT. This isn’t about never eating your favorite foods again. That’s not sustainable! In fact, we’ll teach you how you can indulge — while still losing weight. The goal is to be fit and happy, not fit and miserable. We’ll also give you an exercise plan that is sustainable. Going crazy at the gym isn’t necessary. Besides, 80% of weight loss is about diet. It’s about what, why and how we eat. We follow X plan by willing ourselves to stay strong for as long as we can…until we can’t take it anymore. We eventually lose steam, and revert back to our old ways. This is why people gain weight back. They never learn the right mindset along with the habits and behaviors necessary to keep it off. They just buckle down and try hard for a few months until they can’t take it anymore. **Changing our clients’ relationship with food is a big part of what we do. Helping them develop the right mindset along with the habits/behaviors to lose weight and keep it off is a big part of what we do too. This is why our clients find that it gets easier and easier to stick to the plan. That’s why they’re able to lose the weight, and keep it off effortlessly. Unless you’re being held accountable and being supported daily, it’s very hard to stick with it. It’s too easy to rationalize to ourselves. 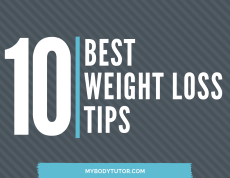 It’s also very hard to sustain the effort required to lose weight. **Enter MBT. This is where daily accountability and support comes into play. It’s also what makes us different from the billion and one other programs out there. What do you think the success rate will be? Very high obviously. This is a huge reason why people on traditional programs don’t lose weight. This is why our success rate is so high. ….We provide you daily support / guidance. ….We give you a plan that is actually sustainable. ….We set you up with a coach who is an expert. ….We support you whenever you fall off track. ….We set you up with clear and defined goals. ….Your very own tutor will know the answers to all of your questions. ….We teach in bite-sized-chunks over time, not a fire-hose of information on the first day. ….We teach you the right mindset along with the healthy habits and behaviors necessary to lose weight and keep it off. ….You get relentless support and accountability…..from a real human being…every single day. ….You get an expert who knows how to get you the results you want and they understand how to get you through anything and everything that will get in the way. —-> Unless you’re being held accountable and supported daily, it’s very hard to stick with it. It’s too easy to rationalize to ourselves. It’s also very hard to sustain the effort required to lose weight. No matter what you do, keep these in mind for your weight loss journey. I sincerely want to see you succeed because when you improve your health and fitness, you improve everything else in your life. How you feel about yourself spills over into every aspect of your life. Would I love for you to try MBT? Of course! I’ve seen how many people MBT has helped since 2007. My belief and confidence is a direct result of how many people we’ve helped. It’s why I offer a guarantee. You can try my program for a full month. If you don’t feel or see results / aren’t happy with the path we’re on, we’ll give you your money back. It’s as simple as that. Many people claim they want to improve their lives but they just whine, make excuses and hope things will get better. Year after year, nothing changes. Sadly, some people are happiest when you just let them be unhappy. I don’t want this year to be another year that comes and goes. I’ve made it a no-brainer for you to give us a shot. I know it’ll be the last program you ever do. You’ll not only lose the weight and get the body you want, but you’ll learn the skills / mindset and develop the habits/behaviors that you’ll be able to use forever — so you don’t have to deal with losing weight over and over again. What are you waiting for? Together, we’ll make it happen. P.S. I get it. You’ve become skeptical after trying so many things. You’ve lost trust in companies. And, perhaps, what’s holding you back most is, you’ve lost trust in yourself. It’s why I’ve made it a no-brainer for you to try us by offering a guarantee. I know what we offer works. My confidence in what we do is a result of how many people we’ve helped since 2007. I sincerely believe MBT is the best program out there. And it’s not just because I say it is. It’s because of the incredible results we’ve been able to get for our clients. It’s based on what our clients have tried before MBT, and what they’re telling us. It’s because of success stories like Joe, Lynda, Jeremy, Tammi, Laurie, Sharmin, Mitch, Stephanie and countless others. People who were seriously skeptical but saw something different in our program and gave us a chance. That chance is all I ask for from you. I know you’ll love what we’re about.